We are located at 1 The Offices, 10 Fleet Street, BN1 4ZE. 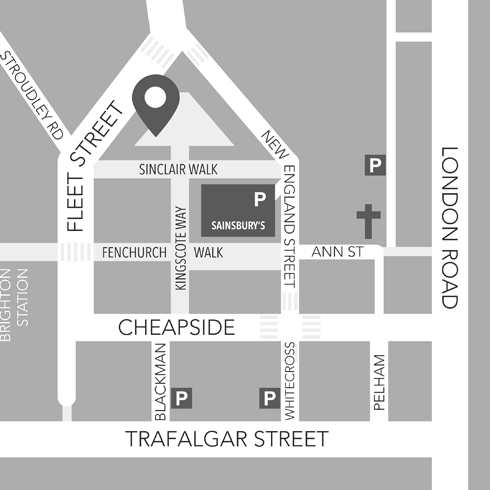 Please note: Although our address is officially Fleet Street, our entrance is actually tucked away off Fleet Street, in the pedestrianised area which you reach via Sinclair Walk, linking Fleet Street with New England Street. 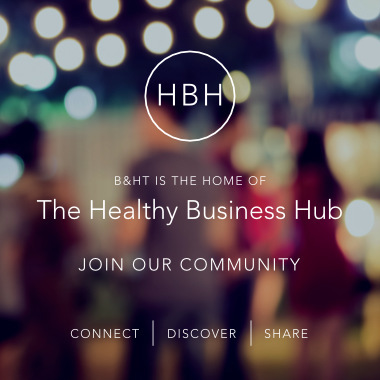 Brighton and Hove Therapies is very centrally located, and ideal for local Brighton residents to walk or cycle to. Bicycles chained to suitable railings in the area are left at your own risk. Follow the wooden walkway alongside the tracks to the ‘back entrance’ of the station. Pass the new ‘coffee and bike’ hub and take the new stairs down. At the bottom, cross over, turn left then take the next right into Sinclair Walk. Turn left at the sign ‘The Offices, 10 Fleet Street’ and you will see us at number 1, on the left. For stair-free access: the lift from the station will be soon be available, but for now, from the station car park walk past the Jury’s Inn hotel and take the next right to follow the hill down, then head into Sinclair Walk immediately ahead of you. Opposite Boots, walk up Ann Street next to Costa Coffee and past the large St Bartholomews Church, then Sainsburys, both on your right. You will see Paris Cafe Bar on your left. On your right, immediately after Sainsbury’s, walk up the stairs (marked Kingscote Way) and continue straight ahead, to the very end. You will see us at number 1 The Offices, on the left. For stair-free access: continue up the slope past Sainsbury’s until you hit Fleet Street. Turn right and then right again into Sinclair Walk. From Trafalgar Street, facing down the road with the station behind you, turn left into Blackman Street. Pass the car park on your right. At the end, cross over the road and bear left onto Fleet Street. Stay on the right side of the road. Continue past Fenchurch Walk on your right, and take the next right into the pedestrianised Sinclair Walk. Turn left at the sign ‘The Offices, 10 Fleet Street’ and you will see us at number 1, on the left. The nearest bus stops to the treatment rooms are situated on London Road and Brighton station, and numerous buses run frequently throughout the day. Find bus maps and timetables here. We are less than five minutes walk from Brighton station, which has excellent rail connections all over the country. Check out the National Rail or Southern Railway websites for train times and ticket prices, and see above for details of how to walk from the station.